A good friend of mine is a carpenter and needed an illustration of custom cabinetry he was planning to build for a client. 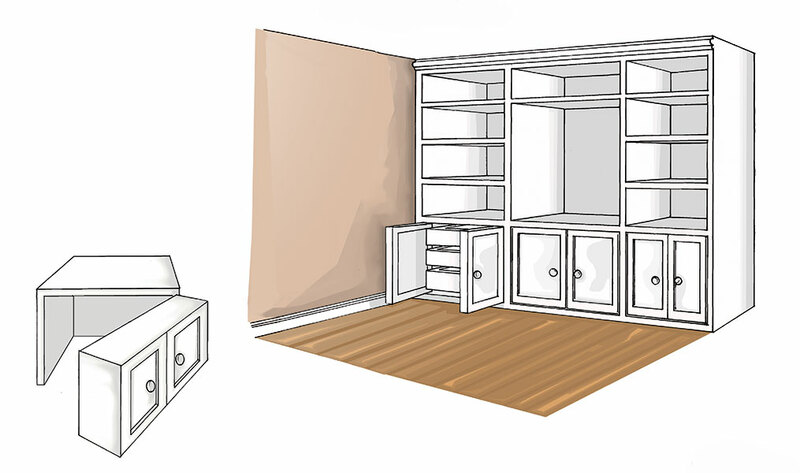 I used the specifications provided to me by the carpenter to produce a scaled down illustration of the proposed cabinetry. I began the project using pencil and ink followed by coloring the illustration in Photoshop. This illustration was key in helping the client to visualize the carpenter’s idea.